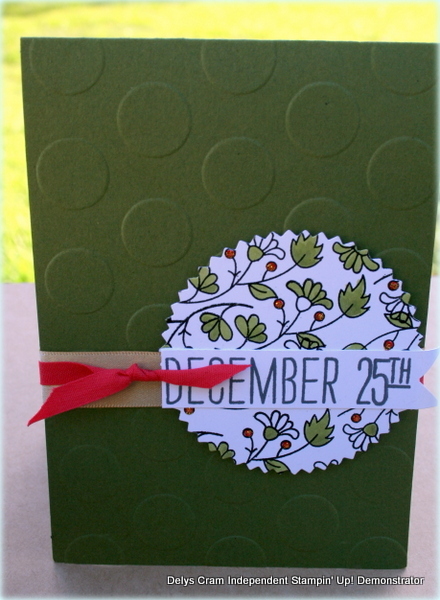 Photopolymer stamps and a Blog hop! 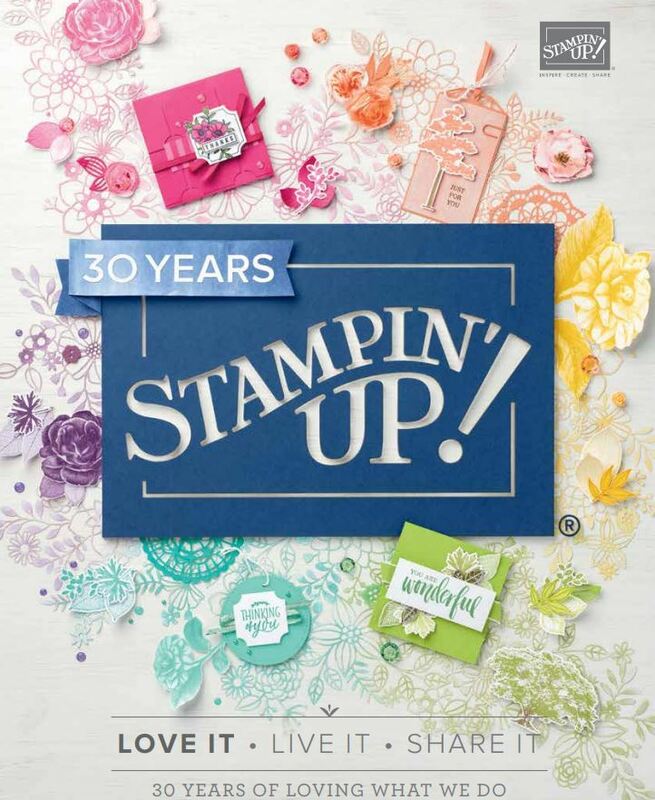 Yay, I’m participating in an ESAD New 2014/2015 Annual Catalogue Blog Hop today! You may have just come from Sharlene Meyers blog or you maybe be starting with me..but if you get stuck anywhere, click on the links down the bottom of this post to go to the next blog on the list. So what am I show casing today? These are new to our market and I love them! They are cheaper than our regular clear mount/wood mount rubber sets and of very good quality photopolymer. I’m especially loving the Border Photopolymers! Ive been using them to make cards like this one.. Details: PL Day to Day, PL Remember This, Bordering Blooms, Starburst framelits, Old Olive blendies, gold Dazzling Details, RR marker, gold satin ribbon, RR cotton ribbon, Large polka dot, EF, black embossing powder, versamark, memento black ink pad, Lost Lagoon and WW Cardstock. BUT, what I really bought the border Photopolymers for ….was for scrapbooking, both traditional and Project Life so here is both of those. Details: Photopolymer; Borderettes, Draw the Line, PL Day to Day, Back to basics Alphabet, PL Happiness Is and matching accessory pack, Love story and Everyday adventure accessory packs, Design 1 photo pocket pages, PL journalling pen, basics kraft stickers, memento black ink. See! Lots of fun with photopolymers! They are really easy to use and makes things so easy to line up/personlise and easy storage too. A few tips I have for a crisp image is to wash them every time with your stamping mist, stamp on a firm table or rubber mat (our paper piercing mat is excellent for this job) and finally don’t press too hard with the stamp as it will squash the image. These should be stored out of direct sunlight and they come in our standard clearmount/woodmount cases. Alrighty ..now we are off on to the next blog in the blog hop which is to Keryn Campbell…enjoy the blog hop! Love them… Love the split photos. I am so looking forward to starting with Project Life. Christmas already Delys, that is just scarey. Loving the Christmas Card though and it’s never too early to get started. I have to give these a try. Great work. I have already pinned your project life pages. Thanks for some inspiration. Nice ideas! Thank you for sharing your talent! 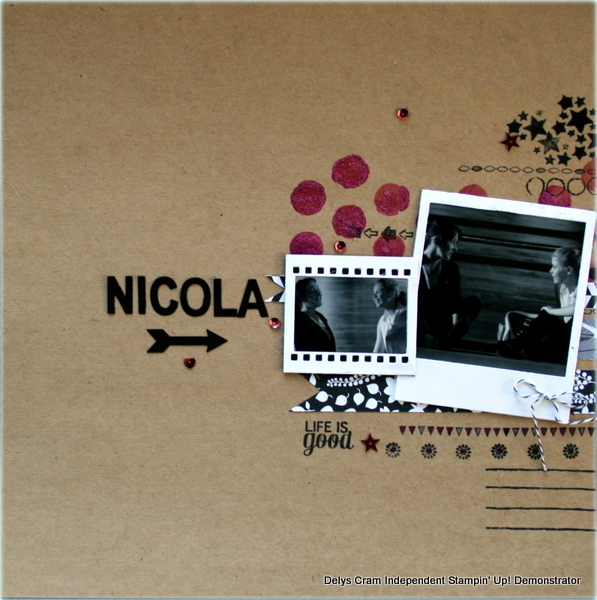 Have always loved your scrapbooking, Delys, and Project Life adds a whole other dimension for you to play with. 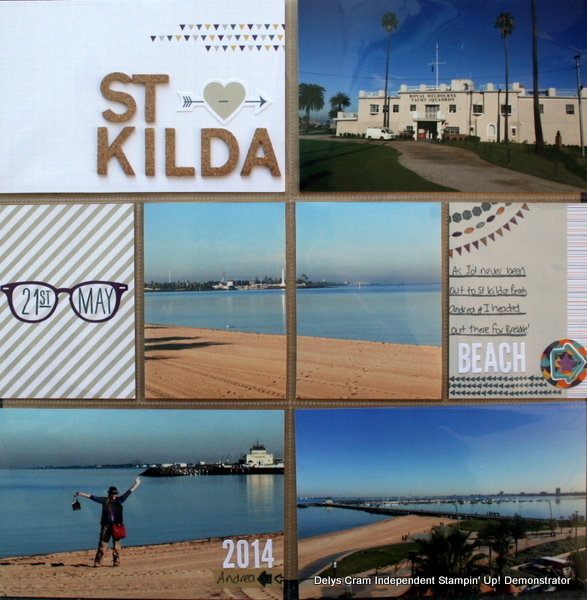 Love your St Kilda pages…..one of my favourite places to visit. What a fantastic way to use the new Border stamps too. You’re very clever! Great use of the photopolymer stamps Delys! The Christmas card is very clever! 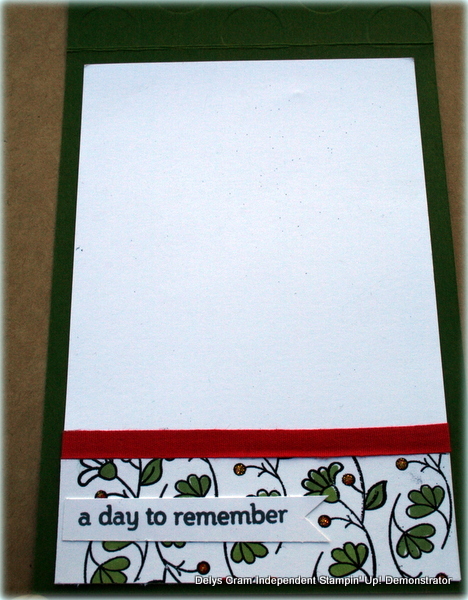 Love the way you have used them on the traditional scrapbook page! Very versatile! Great idea for a Christmas card, my friend! Love all your projects; the PL pages are especially awesome!! Hi Delys – Awesome projects – TFS! Have been checking out the ESAD Blog Hops for a while now and have read the invitation each time but haven’t been brave enough to ask to join the group – but today is the day! I am keen to be a part of the group – can you tell me a little more about it?